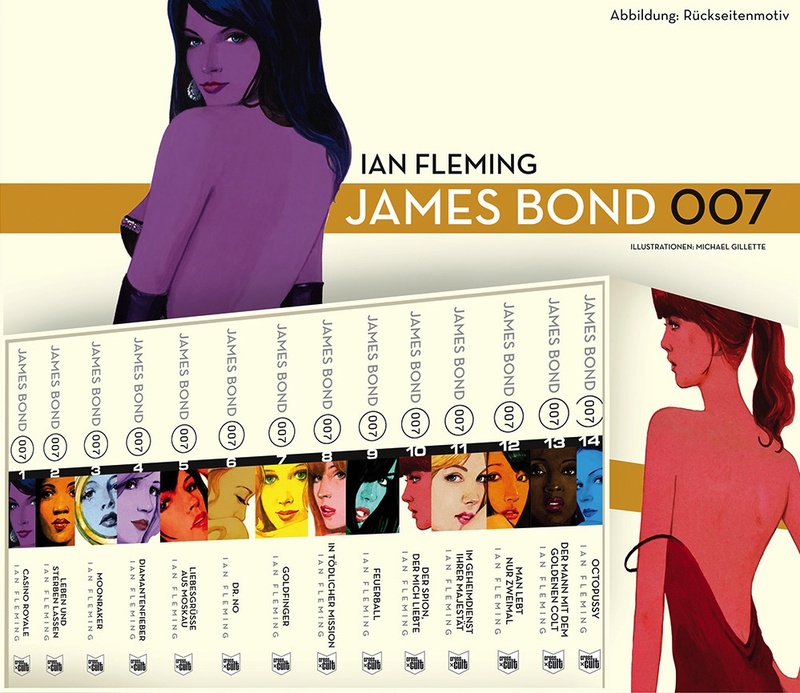 A nice boxed set of Ian Fleming James Bond paperbacks has been released in Germany by Cross Cult. The covers feature the 2008 Centenary illustrations by Michael Gillette. Very nice. Thanks to Heiko Baumann of CommanderBond.net for this one.